This past May the Commencement speaker at Assumption College was a Rwandan woman named Immaculee Ilibagiza, the author of Left to Tell: Discovering God Amidst the Rwandan Holocaust (Hay House, 2006). I missed the Commencement exercises, and now—having just finished her book—am kicking myself for having done so. This book has been one of the most powerful and interesting works of spirituality that I have read during the past year that I have been working on this blog. The first aspect of this book that struck me was the reminder it provided of an astonishing historical fact: a genocide that took a million lives took place during my adult lifetime. When we think about genocides, we think about the Nazis, and—as fascinated as we still seem to be with the Holocaust—it seems historically remote to those of my generation and younger. But the Rwandan genocide took place during the 1990’s, just after I had graduated from college. It’s much harder to wipe away the notion that such horrible events are products of the distant past when you can link them to periods in your own life. Ilibagiza was from a Tutsi family, the ethnic nationality that was marked for extermination by the majority Hutus in Rwanda during the 1990’s. Her family, like all of the families in her neighborhood and across Rwanda, was attacked by machete-wielding Hutus, many of them former neighbors and friends, when the genocide began. Her father was shot in the street; her mother and brother chopped to death with machetes; another brother machine-gunned down in a mass killing. 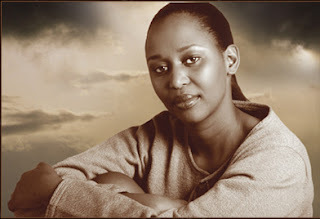 Ilibagiza sought refuge in the home of a Hutu pastor who took pity on her and seven other Tutsi women. He sheltered them in his home for three months—all eight women spent those three months locked away in a bathroom that was three feet wide and four feet long. You read that correctly. They had to learn to stand, sit, and sleep on top of one another for three months in that tiny space. As the weeks and months went by, though, Ilibagiza explains, the space got larger and larger: the scraps of food that the pastor was able to save for them were barely enough to keep them alive, and they all grew increasingly emaciated. I will leave the story of her liberation from confinement, and eventual reunion with her one surviving brother, for you to read. But those events don’t represent the climax of the book. That comes when she finally returns to her village—where she finds the ruined shell of her family home, and gives a proper burial to what remains of the corpses of her family members—and confronts the Hutu man who led the killing mob against her family. An angry and sympathetic warder drags him from his jail cell, and holds him up before her, so that Ilibagiza can do to him what she will. It is an incredible and surprising moment, and one which affirms the power of the religious faith that sustains her through her long ordeal. If you are looking for reasons to believe, you won’t find any stronger ones than you will in Left to Tell.